Mumbai is home to billions of dreamy eyes while Singapore is a delight to the glittering eyeballs. Mumbai boasts of the Gateway of India, Haji Ali Dargah, Elephanta Caves, Juhu Beach, Siddhivinayak Temple while Singapore takes pride in its Singapore Zoo, Botanic Gardens, Marine Life Park, Jurong Bird Park, and River Safari. A cosmopolitan cocktail with a grand mixing of cuisines, fiestas, thoughts, ideologies, music, and people, the cities of Mumbai and Singapore simply keep on amazing their locals and visitors with their wonders and enticements. To explore these two richly beautiful cities, flights from Mumbai to Singapore are highly availed. Beyond the picture-perfect skyline and the lively city center, there’s still so much to explore for visitors in Singapore. Singapore is also considered as one of the places in the world where you can take your family or friends and be assured of the best entertainment and fun activities. There are some great places to explore and countless activities to indulge into. To name a few distinguished places, Singapore boasts of Gardens by the Bay, Chinatown, Marina Bay, Singapore Flyer, Sentosa etc. Whether you like indulging in gastronomy or if adventure is your soul’s calling, the island city will never dishearten you. The city also has a primary rainforest in the City Centre, 300 parks and 4 nature reserves, and plenty of green spaces to escape the hustle and bustle of the city. With an abundance of world-class, affordable attractions, old school jungle huts, chic cocktail bars and everything in-between, Singapore caters to everybody, from budget backpackers to high rolling billionaires! Where else in the world could you marvel at the gems of the historic Chinatown, tuck into a delightful curry in Little India, before ending the night on the top of the iconic Marina Bay Sands sipping a cocktail? Travel from the spectacular city of Mumbai to the amazing city of Singapore, only with the best air flights. 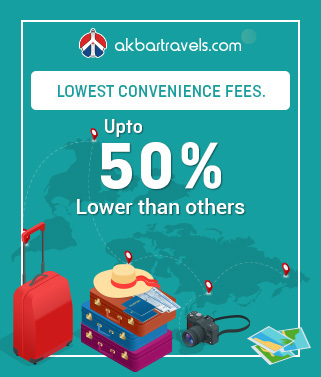 Get only the best air flight fares on your international flight bookings only with us. Get access to full flight details, schedules and instant status update only on yourMumbai to Singapore flight. The cheapest months to that have the lowest Mumbai to Singapore flight fares are March to May. 1. What are the airline brands that offer Mumbai to Singapore flights? The airline brands that offer the Mumbai to Singapore flights include Air India, Jet Airways, Malindo Air, Malaysia Airlines, Thai Airways, Indonesia Airasia, Singapore Airlines, Bangkok Airways, Cathay Pacific, Etihad and Srilankan Airlines. 2. How many weekly flights are there from Mumbai to Singapore? There are approximately 270 weekly Mumbai to Singapore flights. 3. At what time does the first flight leave from the Mumbai to Singapore? The last Mumbai to Singapore flight is at 11:50 PM which isAir India AI 342. 5. What are the airport codes of Mumbai and Singapore? The airport code of Mumbai is BOM and Singapore is SIN respectively. First Night Zoo: The world’s first night zoo, The Night Safari, is located in Singapore. Tree species in Bukit Timah Nature Reserve: The Bukit Timah Nature Reserve in Singapore contains more species of trees than the entire North American continent. Largest fountain in the world: The largest fountain in the world is right here in Singapore at the heart of Suntec City. It cost an estimated US$6 million to build in 1997.